I was on my way to work last week when I came across #MacMiller trending on Twitter. Confused regarding what that could be about, I scrolled through my Instagram and found numerous tributes to the 26-year-old rapper, only to confirm what I had already expected. Mac Miller’s death, caused due to an apparent overdose, came as a shock to many. Working as an entertainment journalist, the aforementioned incident ultimately became my priority for the morning. As I added testimonies and tributes from famous artists and celebrities in Hollywood, there was one that I, along with the rest of the world, was desperately awaiting – Ariana Grande’s. After all, Miller dated the famous teen sensation on and off from November 2012 to May 2018, so all eyes were waiting for Grande to react. After checking (and failing) to find anything related to the late rapper on her social media accounts that day, it was then reported that Grande had turned off the comments on her Instagram posts. Why, you might ask? Apparently, the singer was being mercilessly trolled and harassed for her former boyfriend’s untimely death. If that wasn’t enough, to my absolute horror, #ArianaKilledMac then started trending on social media. It all started when American tabloid TMZ broke the story of Miller’s passing, but did so including a now-edited line claiming he “had trouble recently with substance abuse… in the wake of his breakup with Grande”. 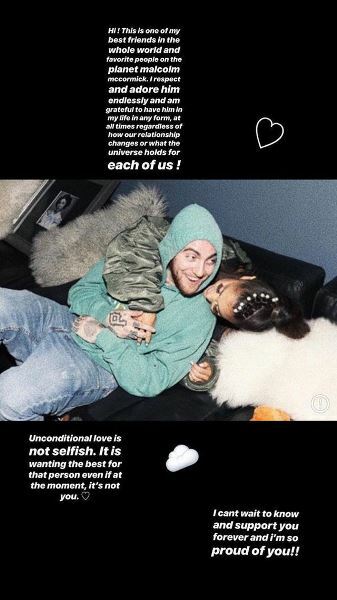 The tweets and comments under this hashtag regarding the couple’s relationship were extremely disturbing, so much so that some straight up held Grande directly responsible for Miller’s lost sobriety and death. Others questioned how Grande might sleep at night now. The public reaction can hardly be justified, given that it’s not as if their breakup caused Miller to succumb to extensive drug use. The rapper had a history of substance abuse, which sadly is what led to their breakup in the first place. So how does it make any sense for people to blame Grande for Miller’s overdose? Unsurprisingly, women continue to face flak for the actions and behaviours of their partners. A few months ago, I was hanging out with some of my friends. One of them, let’s call him A, was having one cigarette after another. This went on until he consumed almost half the packet, which was full when we sat down. After a while of noticing him chain smoke, I finally asked him if there was an issue at work. I listened to him rant for the next 10 minutes about how this ‘mental stress’ has driven him to go from smoking his usual one box of cigarettes to two. Once he finished, I asked him a simple question. “Well, of course not!” he responded. “Well, I hope not,” he then said. “Did she ask you to harm yourself like this?” I asked him finally. I then questioned him further, for how could he put the burden of such a severe blame on his partner like that? Why has it become a common practice in our society to simply blame everything on the woman? Why are we so quick to judge women and hold them responsible for the actions of their male counterparts? Why is it that when women suffer it’s their own fault, but when men suffer we have to find a woman to pin the blame on? So, let’s get one thing straight: No, Miller’s downward spiral towards drug abuse and his ultimate overdose has nothing to do with Grande. It wasn’t her ‘job’ to ‘save him’. Let’s call out the actual evil – addiction – and start there. Even after their breakup, the former couple had always maintained a loving relationship. After announcing their split, Grande took to Instagram to write a parting note declaring her affection for Miller. When Miller himself wouldn’t have held anything against Grande, how can people feel that blaming her for his death is their way of ‘honouring’ or standing up for him? 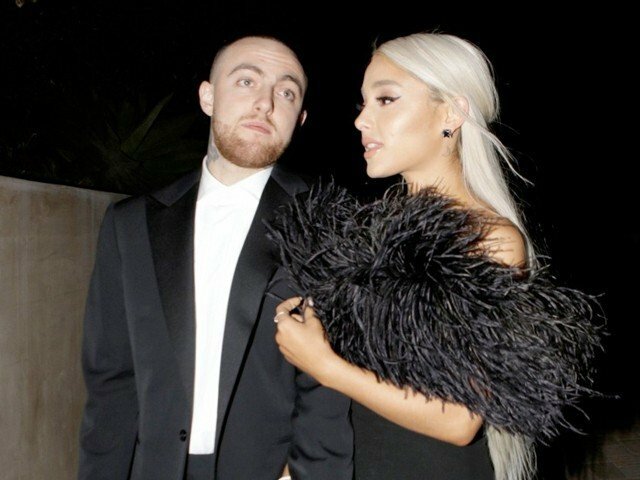 Even one of Miller’s closest friends has hit back at Grande’s critics, claiming that there “could not have been anybody more supportive of him being sober” than she was and that Grande was “an unbelievably stabilising force” in his life. Since Miller’s passing, Grande has only returned to Instagram to post a sweet photo of him, and has rightfully kept the comments turned off. Having an entire hashtag trend blaming her for the death of someone she loved and lost must have left her traumatised. Yes, the internet can be an unforgiving place, but the least we can all do is let Miller’s loved ones grieve in peace. The author works as a Sub-Editor for Express Tribune's LifeStyle desk. Definitely not Ariana’s fault here. Even if she was still involved with Mac, he is still responsible for his own decisions.